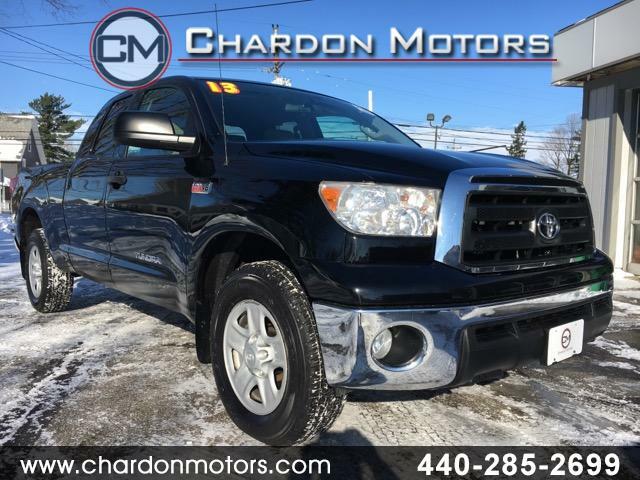 2013 Toyota Tundra 4x4 Double Cab Offered by Chardon Motors. This is a CARFAX CERTIFIED ONE OWNER vehicle. Super clean inside and out! Brand new tires! 5.7L V8! Room for six with fold down center console! Well optioned - keyless entry, aux input, drivers seat height adjustment, sliding rear window, electronic headlight leveling, shiftable six speed automatic, tilt steering, cruise, full power accessories, and more.